Boise Idaho’s Best Air Duct Cleaner! Air. We breathe it in constantly, rarely giving it a second thought. But, quality air is essential for our health. Dust build up, mold, and other allergens can build up in air ducts over time, reducing the air quality in your home, business, or healthcare facility. At Air Duct Cleaning Boise , we can clean your ducts quickly and professionally. Your air duct system is a branching network of tubes that travels through the floors, walls, and ceilings of your home. These tubes carry air from your air conditioner and heater to the various rooms in your home or business. Ducts are made from a variety of materials including sheet metal, fiberglass, and other materials. If a duct becomes clogged, the efficiency of your air conditioner and heater is greatly reduced, resulting in an uncomfortable temperature in your home and high electricity bills. 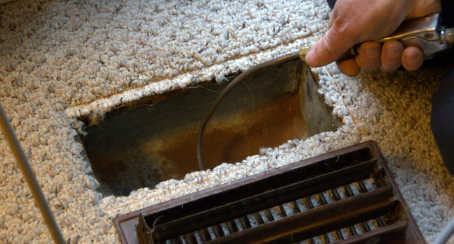 Clogged duct aren’t the only issues that can plague air duct systems. Air duct systems, if not properly installed, sealed, insulated, and maintained can greatly increase your energy costs by leaking air into places such as attics and crawl spaces. 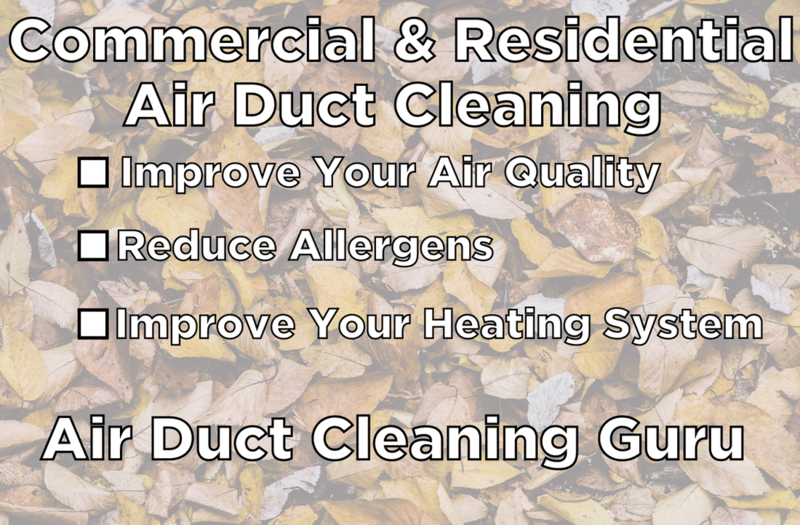 Air Duct Cleaning Boise can evaluate your current duct system and determine what your individualized needs might be including, cleaning, re-sealing, insulation, or a simple cost-effective upgrade. Call us today! To enjoy high indoor air quality in your home or business, it is essential that your duct system be cleaned on a regular basis. Without regular cleaning dust, mold, mildew, allergens, or illness-causing bacteria can build up and spread throughout your entire home or business. Dirty air ducts can cause issues such as respiratory problems, itchy eyes, coughs, and sinus problems. However, certain molds, known as toxic molds, are allowed to grow in ventilation systems, those exposed can develop brain issues, sometimes which are fatal. Just one more reason you should not attempt to DIY-clean your duct work! The professionals at Air Duct Cleaning Boise are trained to handle hazardous substances like mold and remove them completely from your home or business quickly and efficiently, without creating a mess for you to clean up! Not sure if your duct system is up to par? Wondering if those pesky allergies might be related to dirty air vents? Give Air Duct Cleaning Boise a call and we will come and perform an inspection of your entire system. 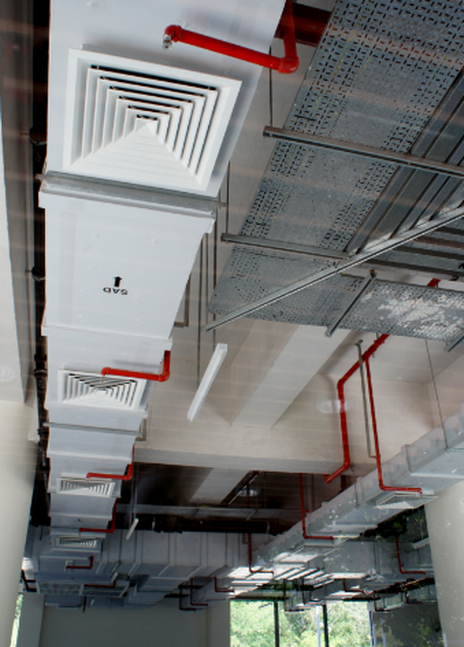 Our professionals are known for their integrity and will give you an honest assessment of duct system and present the best solution for your individualized situation. According to the NFPA (National Fire Protection Agency), over 18,000 strucutre fires a year happen as a result of clogged or blocked dryer vents. That means dozens of deaths, many injuries, and over $100,000,000 in property loss occur due to failure to perform a simple dryer vent cleaning! Tragic! 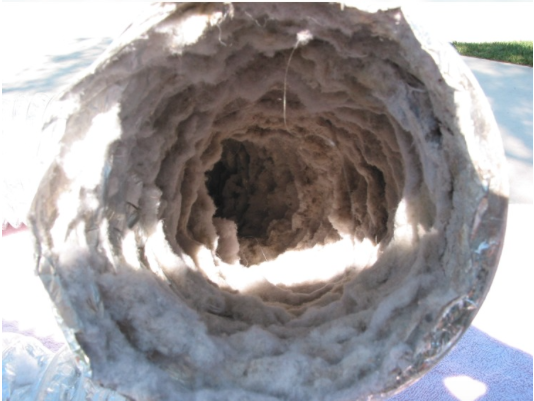 Let the professionals at Air Duct Cleaning Boise do a thorough cleaning of your dryer vent. Not only will this simple process reduce the chance of a structural fire, it will greatly increase the efficiency of your dryer, thus saving you money on your energy bill. The US Department of Energy “a dirty condenser coil can increase compressor energy consumption by 30 percent.” A basic annual cleaning of your AC coil can save you a great deal of money over the course of a year. A dirty coil not only increases the energy use of your air conditioner, it can actually reduce the amount of air that flows through your ducts. Frequently, people assume they need a new air conditioner as their current one seems to be failing when in reality they only need a thorough coil cleaning! Let us come and inspect your air conditioner! Did you know that space heating accounts for 45% of energy cost in the average American home? Keep heating and cooling costs under control by ensuring that your ducts are not leaky! If your ducts are leaky, you are likely heating parts of your home that you don’t need to heat, like the attic and crawl spaces! These leaks result in higher energy costs for you and reduced warm and cool air circulating throughout your home. Let Air Duct Cleaning Boise evaluate your duct system for leaks. Our professionals can repair leaks and insulate ducts where need to increase the efficiency of your heating and cooling systems. The money you save on energy costs makes it well worth the call. Call today! At Air Duct Cleaning Boise, we recognize that healthcare facilities are unique and require specialized work to ensure ducts and vents are kept free of allergens, molds, and other contaminants at all times. Regular cleaning of all duct systems will greatly increase the indoor air quality within your facility. Our professionals are trained to do their work in hospitals, clinics, and medical offices while causing minimal disruption in patient care. We know your facility cannot be closed for a day or two for yearly inspections and cleanings. We work with your schedule to make sure patient care continues at the high possible level during the cleaning process. If you’re anything like the rest of the majority of the population, you have already “googled” how to clean or repair your own vent and duct system. If you’re on overachiever, you might have even watched a few youtube videos to build up your courage to start the project. Save yourself the frustration, time, and potential damage to your duct system by letting our experts at Air Duct Cleaning Boise get the job done right the first time. We offer very competitive pricing so rest assured, you will be pleased with the end result both in your home and in your wallet. We know how annoying it can be when a company constantly tries to “up sell” clients, convincing them that they need the newest, biggest, and best products in their home or business. At Air Duct Cleaning Boise, we respect our clients and do our best to give them the best possible result within their budgets. We will not cut corners, but we will work efficiently and professionally to get you the best possible result at the best possible price.